Omega 3 fatty acids are those essential fatty acids for human body which we cannot make in our body. So we need to rely on dietary sources to get our share of these fatty acids. Research shows that regular intake of omega 3 fatty acids helps reduce the inflammation and lowers the risk of various diseases like heart diseases, arthritis and cancer. These fatty acids are highly concentrated in the brain and are thus necessary for memory and brain performance. Symptoms of omega-3 fatty acid deficiency include fatigue, poor memory, dry skin, heart problems, mood swings or depression, and poor circulation. Rely on foods like walnuts, chia seeds, flax seeds and olive oil amongst the vegetarian food sources to get your share of omega 3 fatty acids. We have experimented a bunch of healthy recipes using these ingredients and what we have to share with you in salad range are recipes like Walnut and Cherry Tomato Salad, Black bean and Bulgur Wheat Salad, Cabbage and Grape Salad, Flax Seed Raita and many more. 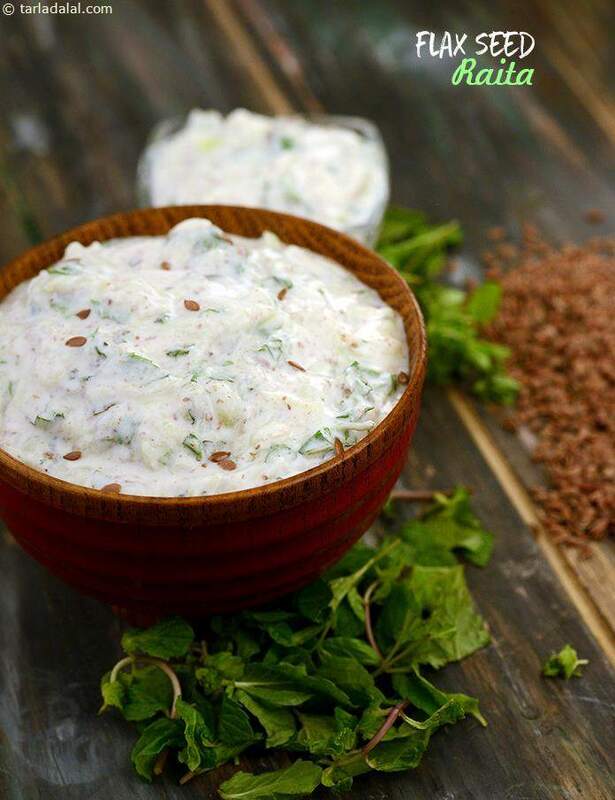 Shared here are omega 3 rich dressings like Mediterranean Dressing, Basil Walnut Dressing also which can be tossed along with your favourite crunchy veggies to make a healthy salad bowl.